In the trucking business "going the extra mile" can be taken quite literally. Nowadays it also means you have a solid web presence. 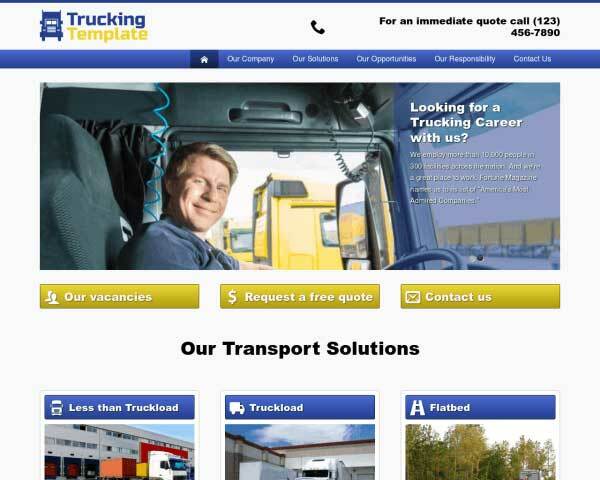 The Trucking WordPress theme helps any trucking company owner to get online the quickest, easiest and most professional way. 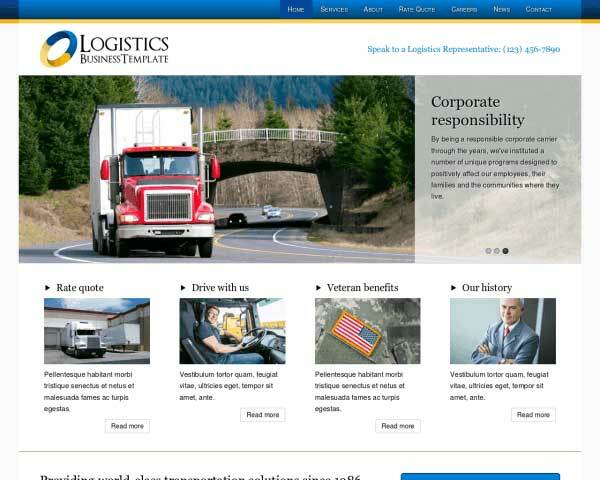 The Trucking WordPress enables trucking companies to unify great design, solid business features and easy maintenance. With this theme you get a turnkey installation. 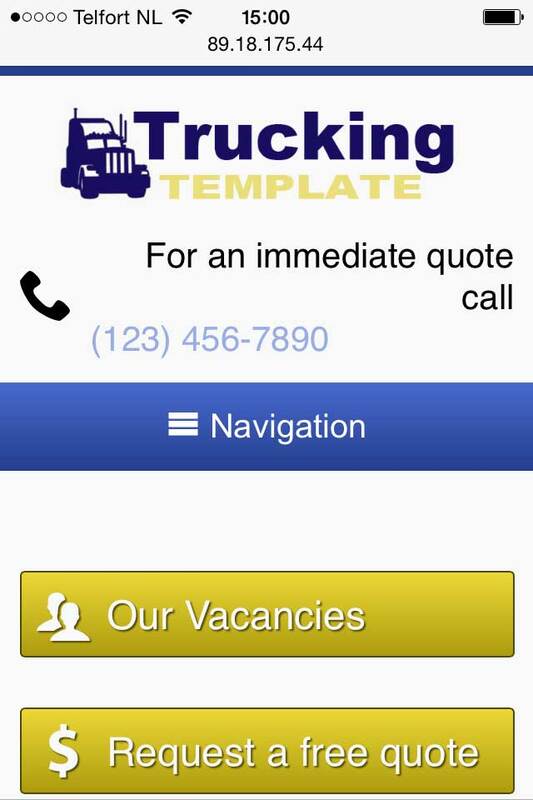 This means that great looking pages are created and filled with call-to-actions, a freight quote form, trust icon placeholders, a vacancies overview and your trucking services. You'll be able to get a professional looking website online faster and more professional than ever before. 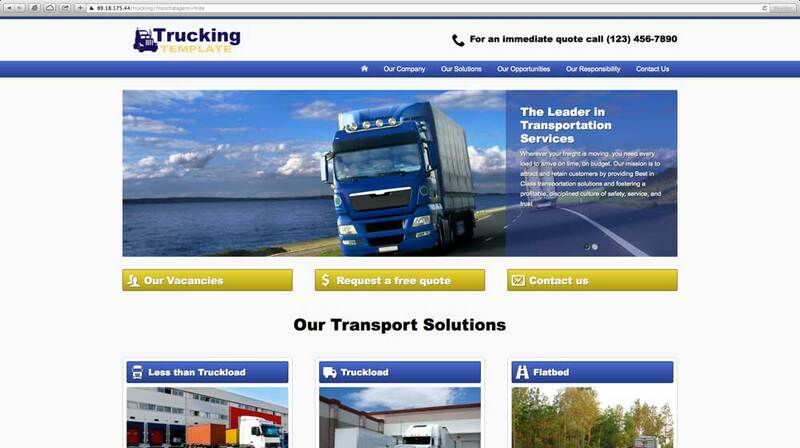 And, to make the site your own, the Trucking WordPress theme ships a state-of-the-art front end editor. Fully responsive and with a ton of videos in our support section you know you won't get stuck. And if you do, you can always contact us via live chat, mail or skype. 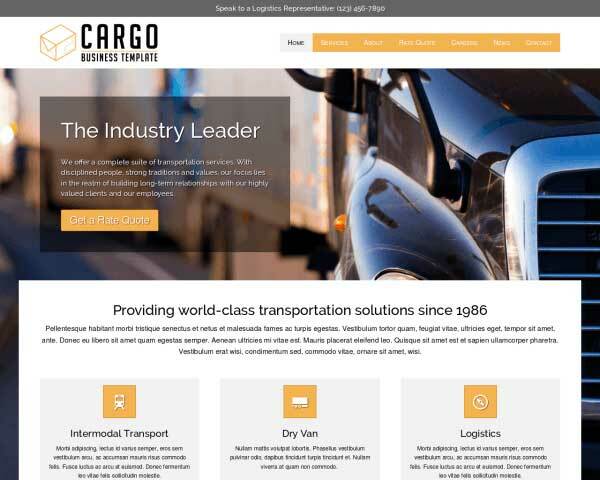 Present visitors with a quick overview of your services on the homepage of the Trucking Company WordPress Theme, allowing them to navigate directly to that page with one click. Need one or more experts to join your passionate team? 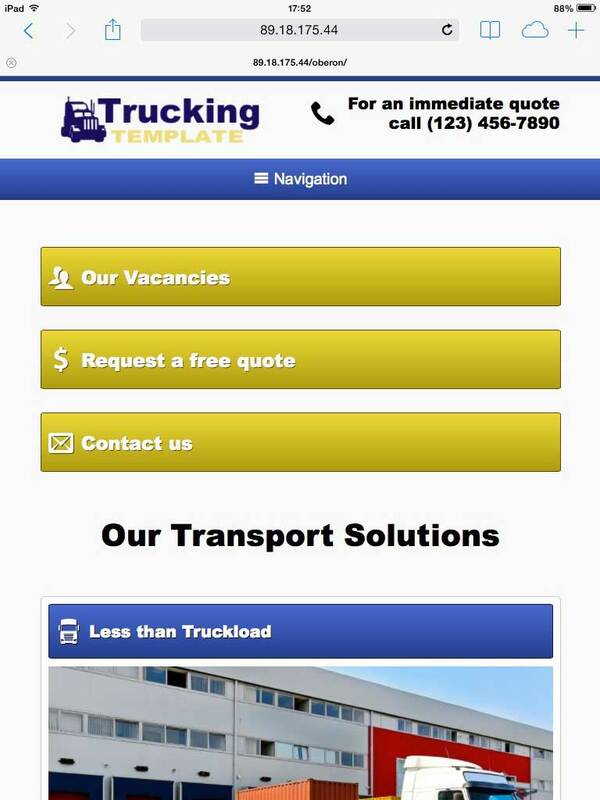 The Trucking Company WordPress Theme includes a handy page that displays all positions available. 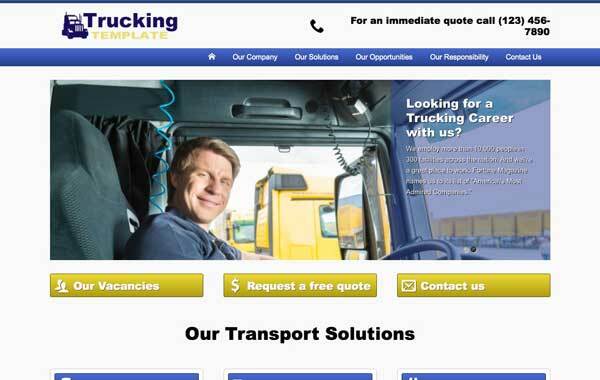 With the Trucking Company WordPress Theme you enable yourself to proactively invite people to ask for an offer for a certain job. This way you set yourself up for success and maximizing profits through your online channel. 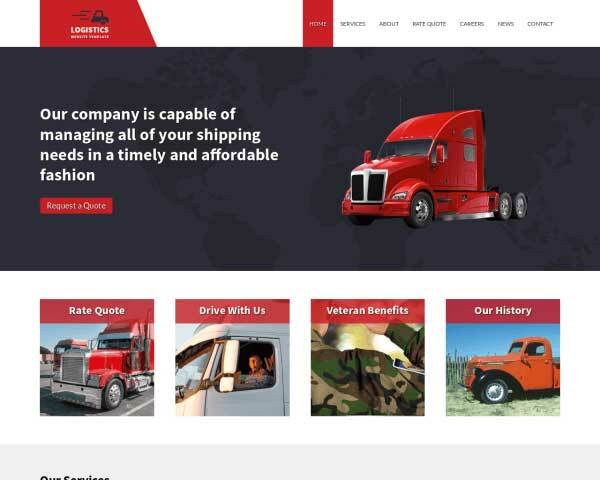 The Trucking Company WordPress Theme is designed to offer visitors extensive information about your services in an attractive, organized online format. 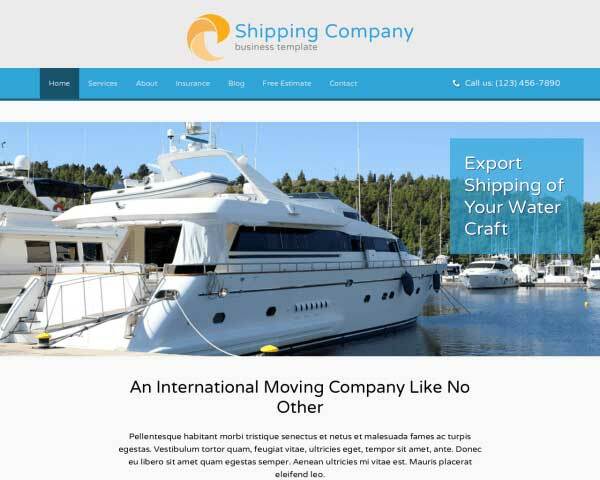 The Trucking Company WordPress Theme was made specifically for the wants and needs of logistics specialists. We've made sure it has the necessary features to boost your bottom line instead of being some generic template. With each passing year, having a mobile website becomes more and more adamant for business owners out there. Since the inception of the first iPhone in 2007 the use of smartphones and tablets has exploded beyond comprehension. A lot of us can no longer imagine a world without our smartphone. So the "mobile" requirement for websites has become a widespread phenomenon. 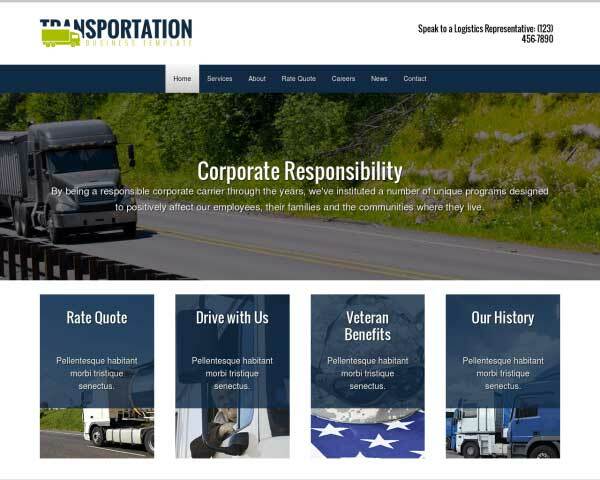 With the responsive Trucking WordPress theme you are certain your site has gives an optimal user experience to your visitors. No matter what device they use to view it.